Golden slumbers : for voice and piano / Andrew Ford. 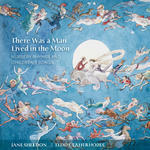 CD: There was a man lived in the moon : nursery rhymes and children's songs / traditional tunes arranged by Andrew Ford ; performed by Jane Sheldon and Teddy Tahu Rhodes. - Resonate Article: Children's music? It was the best I could do.